Coffs Harbour is a city on the Mid North Coast of New South Wales, Australia, 540 km (340 mi) north of Sydney, and 390 km (240 mi) south of Brisbane. It is one of the largest urban centres on the North Coast, with an estimated population of 70,000 in 2017. Coffs Harbour's economy was once based mainly on bananas, now being superseded by blueberries as well as tourism and fishing. The wider region is known as the Bananacoast. The city has a campus of Southern Cross University, a public and a private hospital, several radio stations, and three major shopping centres. Coffs Harbour is near numerous national parks, including a marine national park. There are regular passenger flights each day to Sydney and Melbourne departing from Coffs Harbour Airport. Coffs Harbour is also accessible by road, by NSW TrainLink, and by regular bus services. Sawtell, 10 km south along Hogbin Drive from the city has become a satellite suburb of Coffs Harbour; it is increasingly referred to as being part of the city instead of its own entity as a town. Coffs Harbour owes its name to John Korff, who named the area Korff's Harbour when he was forced to take shelter from a storm in the area in 1847. The name was accidentally changed by the surveyor for the crown when he reserved land in the area during 1861. According to the 2016 Census the population of the suburb of Coffs Harbour is 25,752. This is an increase from 24,581 in 2011. 52.5% of the population is female in contrast to the national average of 50.7%. The average age is 43, which is higher than the national average of 38. Aboriginal and Torres Strait Islander people made up 5.6% of the population. 75.5% of residents reported being born in Australia; higher than the national average of 66.7%. Other than Australia the most common countries of birth are England (3.2%), New Zealand (1.3%), Myanmar (1.1%), India (0.9%) and Germany (0.5%). 62.2% of residents also reported both their parents being born in Australia, considerably higher than the national average of 47.3%. 82.1% of people spoke only English at home. Other languages spoken at home included Punjabi 0.9%, Chin Haka 0.5%, Arabic 0.4%, Spanish 0.4% and Dari 0.4%. The top religious response in Coffs Harbour are Catholic 20.0%, Anglican 17.9% and Presbyterian and Reformed 3.9%. 29.3% declared no religion and 11.1% did not submit a response. The Coffs Harbour Jetty is an historically important timber wharf where coastal shipping once moved the timber from the hinterland. The jetty area is the subject of current planning[when?] by Council and consultants to develop a cultural precinct and rejuvenated residential area. Coffs Harbour is home to the Coffs Harbour Education Campus (CHEC) which is a partnership between the Southern Cross University, TAFE and the Coffs Harbour Senior College. Other universities include the University of New South Wales Rural Clinical School located on the Coffs Harbour Health Campus. Australian Catholic University, Rural Education (REZ). Local state and private high schools include Coffs Harbour, Woolgoolga, Orara, Toormina, John Paul College, Coffs Harbour Christian Community, Bishop Druitt College and the Coffs Harbour Senior College. Primary schools include; Boambee, Bonville, Coffs Harbour Public, Coramba, Corindi, Crossmaglen, Karangi, Kororo, Lowanna, Mullaway, Nana Glen, Narranga, Upper Orara, Sandy Beach, Sawtell, Toormina, Tyalla, Ulong, William Bayldon and Woolgoolga Public School. Private primary schools in the area include; Mary Help of Christians, St Augustine's and St Francis Xavier's. Special schools are public schools designed for children or youth with chronic disabilities or who for other reasons cannot be accommodated in the comprehensive school system. Coffs Harbour Learning Centre is available for these students. Although the Pacific Highway cuts through the centre of the city, much attention has recently[when?] been focused on obtaining state government commitment to determining the routes of proposed highway deviations at a number of places including Bonville, the North Boambee Valley to the west of Coffs Harbour and north of Arrawarra to Wells Crossing. The Coffs Coast Advocate – The Advocate newspaper is published on Wednesdays and Saturdays and is delivered free to all homes. The newspaper also uses online publishing, with articles appearing online daily. An online index of articles between 1993 and 2004 and selected articles dating back to 1900 is maintained by the Coffs Harbour City Library, though only articles relating to Coffs Harbour and its people are indexed. Coffs Coast Independent – Weekly full-colour newspaper delivered free each Thursday to all homes in the Coffs Harbour district, closed 2012. Of the three main networks, NBN produces an evening news bulletin combining regional, national and international news, every night at 6:00pm on Channel 9. Prime7 News produces a mid north coast bulletin presented from its Canberra studios weeknights at 6:00pm. WIN Television produces and airs 90-second news updates, throughout the day, broadcast from its Wollongong studios. Hit 105.5 – Part of Southern Cross Austereo, Hit 105.5 has a local Coffs Harbour Breakfast Show called the A.B & Ben Show. Began in 1997 as a third commercial license for the Coffs Coast. The station was formerly known as Star FM until 15 December 2016. 2HC 639 AM – Music, news, talk format. Part of the Broadcast Operations Group's Super Network continuously relaying programs from 2SM in Sydney except for a local program broadcast from Coffs Harbour between 12 pm and 3 pm weekdays. The station was purchased by Bill Caralis in 2005. Gourmet Getaways – a food and lifestyle website based in Coffs Harbour. It features unbiased restaurant reviews, accommodations and things to do in Coffs Harbour based on the writer's own experiences. Beaumonts, Busways, Forest Coach Lines, Newcombe and Sahdras all run service throughout Coffs Harbour and the surrounding areas. The various long-distance coach services which run along the east coast also stop at Coffs Harbour. The Coffs Harbour Aero Club on Aviation Drive supports private pilots. Flying lessons and discovery flights, as well as airwork and charter flights are available from the club, which is also working closely with local high schools to provide flying training for students. Flying lessons and discovery flights, as well as airwork and charter flights are available from Coffs Coast Aviation Centre, which is also working closely with local high schools to provide flying training for students. The city has four clubs in the Country Rugby League of NSW's Group 2 rugby league competition; Coffs Harbour Comets, Sawtell Panthers, Woolgoolga Seahorses, and Orara Valley Axemen. All clubs offer entries in age groups ranging from under 7s to first grade. The Sawtell Panthers are the current champions[when?] in first grade and under 18s, and Woolgoolga Seahorses were runners up to the Port Macquarie Sharks in reserve grade. There is a local Australian rules football competition with two clubs in the city; Coffs Harbour and Sawtell Saints. There is also a men's and women's soccer league, two rugby union clubs (Coffs Harlequins and Southern Cross University), junior and senior basketball competitions and the representative Coffs Suns, field hockey and netball competitions. In 2001, Coffs Harbour hosted the Oceania region's qualification matches for the 2002 FIFA World Cup. One these matches played at Coffs Harbour was the Australia 31–0 American Samoa game, which set a new world record for international association football's biggest ever win. Pacific Bay Resort hosted 'Camp Wallaby' throughout the 2000s, in which the Wallabies called Coffs Harbour home. The 2007 and 2013 City vs Country Rugby League representative fixtures were held in Coffs Harbour. The city is home to the Coffs Harbour International Stadium, which has hosted FIFA World Cup Qualifiers and a Women's 2008 Beijing Olympics Qualification fixtures for the Matildas in soccer as well as some National Rugby League (NRL) pre-season fixtures and domestic one day cricket matches. Coffs Harbour is also known for a great place to skydive due to the hinterland views where The Great Dividing Range meets the sea. Coffs Harbour is home to three locally grown sporting events attracting thousands of competitors each year: the Coffs Harbour Triathlon (bcu Coffs Tri), the Coffs Harbour running festival and the Coffs Ocean Swims, all raising money to local children's charities. Since its conception the events have raised over $200,000. [[Christopher Dungay (Rugby League Player) - Coffs, Kempsey and Sawtell. ^ a b "3218.0 – Regional Population Growth, Australia, 2015–16: Population Estimates by Significant Urban Area, 2005 to 2016". Australian Bureau of Statistics. Australian Bureau of Statistics. 30 March 2017. Retrieved 31 March 2017. Estimated resident population, 30 June 2016. ^ 01 May 1987 – LOCAL GOVERNMENT ACT 1919—PROCLAMATION – Trove. Trove.nla.gov.au (1 May 1987). Retrieved on 2017-02-13. ^ "Coffs Harbour". Climate Averages for Australian Sites. Bureau of Meteorology. Retrieved 24 November 2006. ^ Coffs Harbour City Library – Catalogue – Full Display – Record 1 of 1. Coffsharbour.spydus.com (26 September 2003). Retrieved on 13 February 2017. ^ Coffs Harbour Base Hospital ::: North Coast Area Health Service Archived 20 July 2008 at the Wayback Machine. 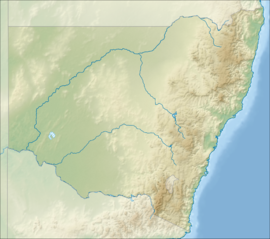 Ncahs.nsw.gov.au (27 September 2007). Retrieved on 18 August 2011. ^ Arrivals and Departures. Coffs Coast (20 December 2016). Retrieved on 13 February 2017. ^ "Coffs Harbour Area". Destination NSW. Retrieved 7 May 2013. ^ "Ferguson's Cottage". New South Wales State Heritage Register. Office of Environment and Heritage. H01802. Retrieved 18 May 2018. ^ "2016 Census QuickStats: Coffs Harbour". www.censusdata.ABS.gov.au. Retrieved 15 August 2017. ^ "Coffs Harbour Meteorological Office". Climate statistics for Australian locations. Bureau of Meteorology. Retrieved 23 April 2016. ^ Coffs Coast news, weather, sport and local classifieds. Coffs Coast Advocate. Retrieved on 13 February 2017. ^ "You searched for coffs harbour - Gourmet Getaways". Gourmet Getaways. Retrieved 15 August 2017. ^ World Cup: Australia score 31 in World Cup. Telegraph (11 April 2001). Retrieved on 18 August 2011. ^ "Local Builders Win Top Awards". Coffs Coast Advocate. North Coast News. 6 July 2011. Retrieved 18 November 2012. Wikimedia Commons has media related to Coffs Harbour.